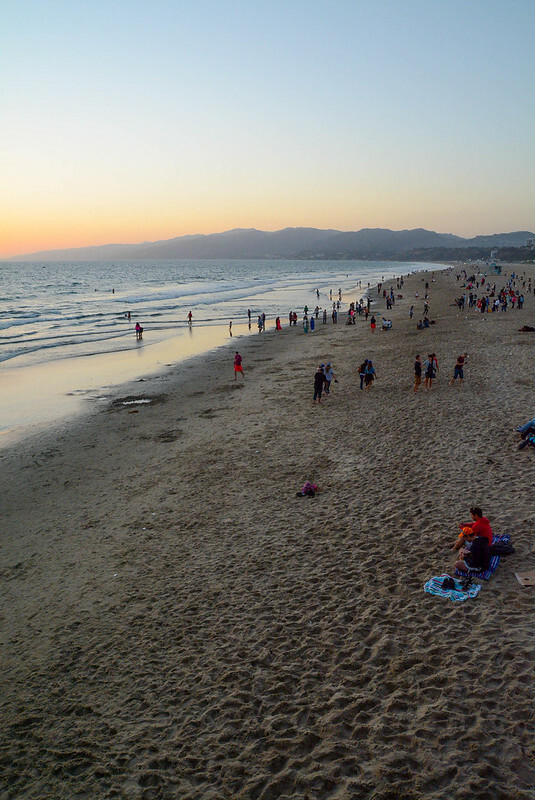 The Santa Monica Pier was actually the first attraction I visited when my Dad and I traveled to Los Angeles back in March. At the time, I might have been a little too hungry, jet-lagged, and sick to really absorb the atmosphere. 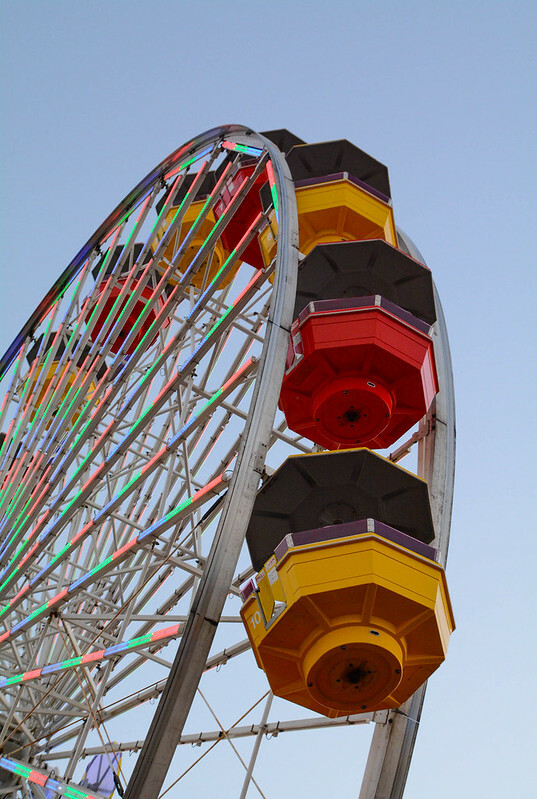 But I remembered with fondness the ferris wheel on the pier and wanted to capture it in action. The blue hour, or twilight, is the period of time after the sun sets but the sky remains bright. The light is beautiful, and it's the perfect time to photograph the evening lights while there is still blue in the sky. 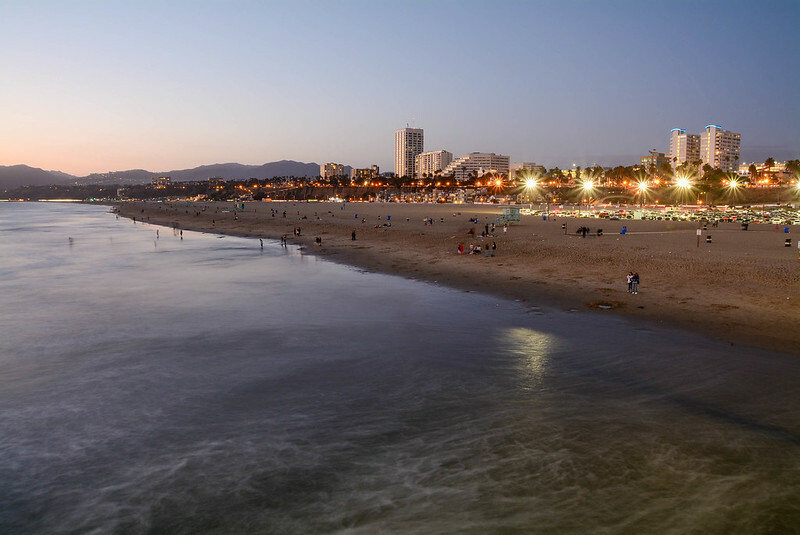 The Santa Monica Pier opened as the Municipal Pier and was actually constructed in 1909 to hold a pipe which flushed sewage out into the ocean (that disgusting practice ended in the 1920s)! 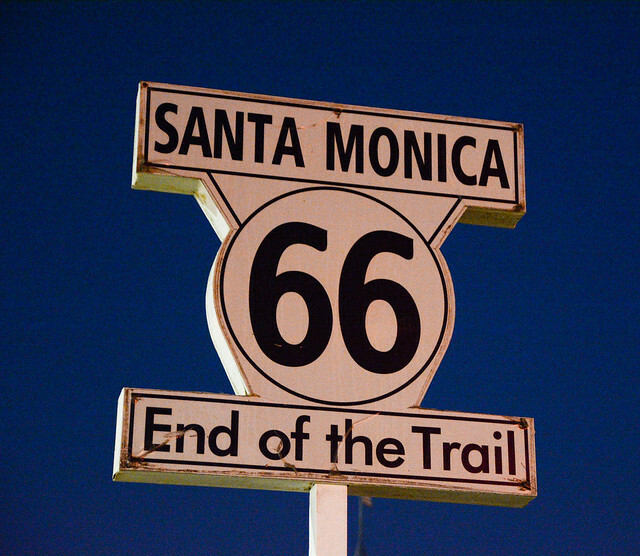 It was the first concrete pier to be built on the west coast and became a popular fishing location. 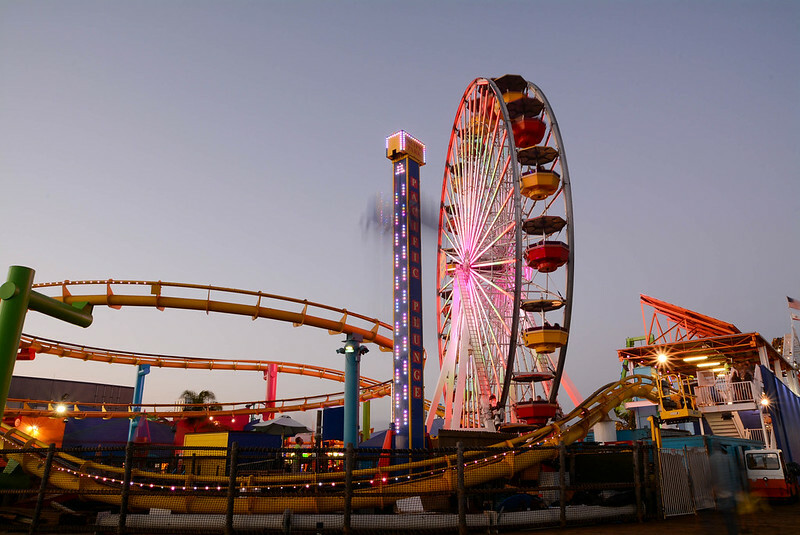 The amusement park was added in 1916 to compete with neighboring Ocean Park and Venice Pier. On April 17, 1919, a large crowd had assembled to celebrate the arrival of battleship USS Texas and cruiser USS Prairie when the pier dropped two feet. It turned out the the concrete piles had given way to rust. Two years were spent replacing the concrete piles with wooden piles. The Municipal Pier took a hit from the Great Depression, and all of the amusement park rides except for the carousel were removed by 1930. In 1934, the city built a breakwater and opened a yacht harbor. 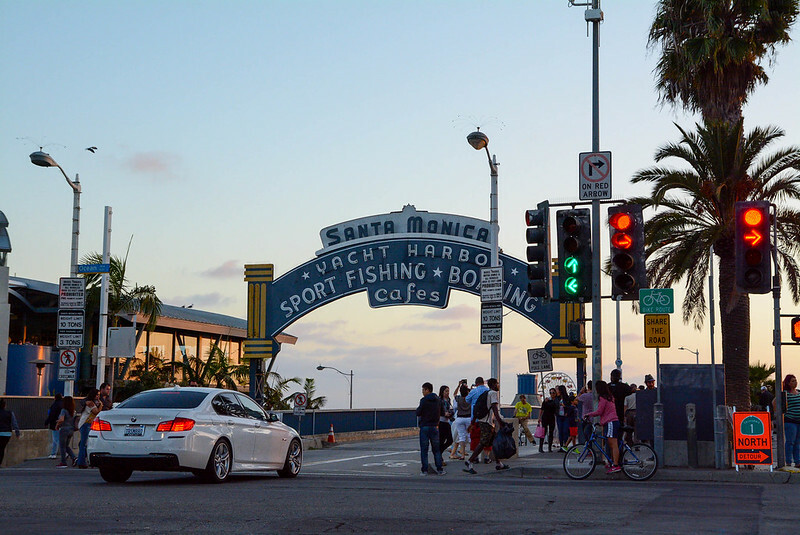 And in 1943, banker Walker Newcomb purchased the pier and changed its name to Newcomb Pier. 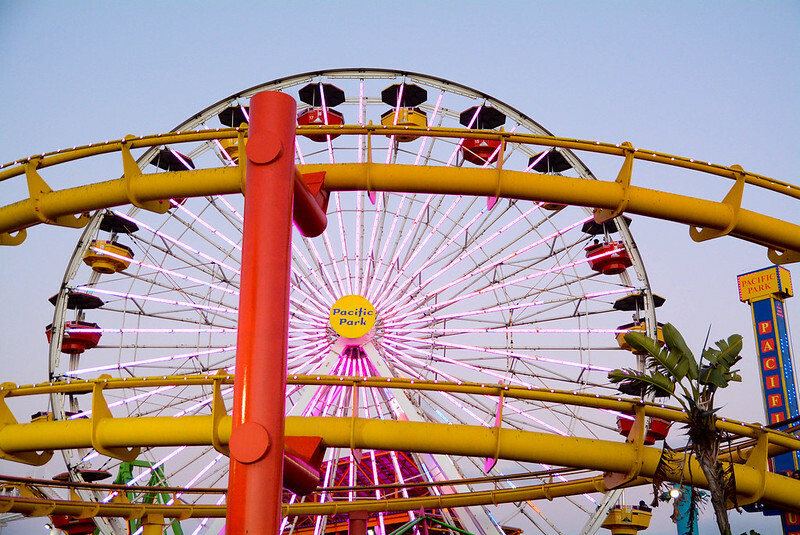 In the winter of 1983, one-third of the pier was destroyed by a series of mega-storms. 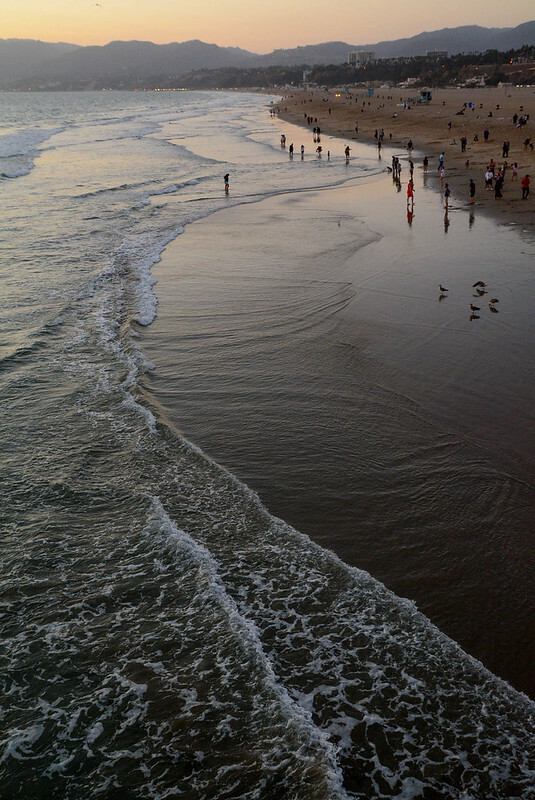 A new pier was designed and constructed over a period of three years, being completed in 1990. 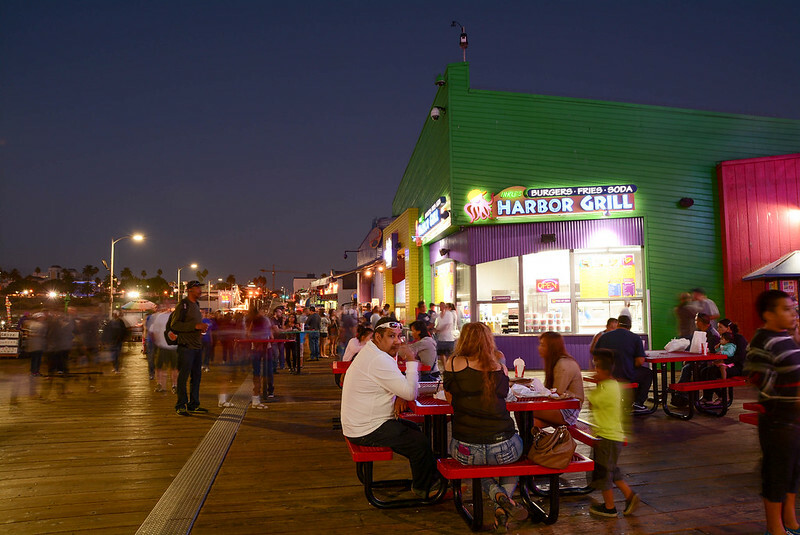 Today's Santa Monica Pier has concrete pilings, concrete fishing decks, and a classic wooden deck. 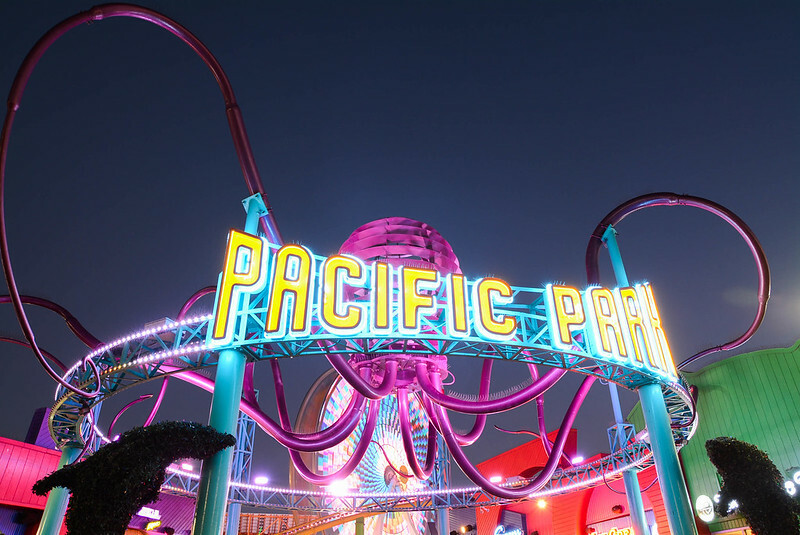 The amusement park, Pacific Park, opened in 1996. 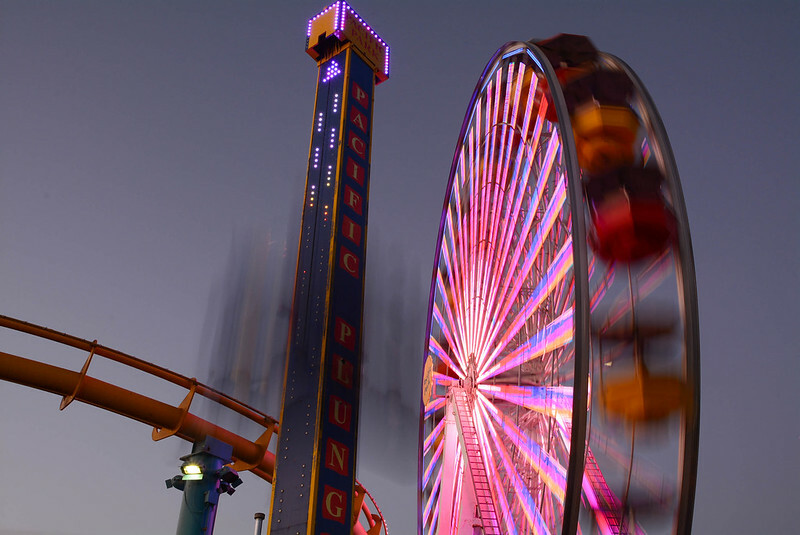 I gained all of this knowledge about the history of the pier by scrolling through the interactive history section on the official Santa Monica Pier website. There are photos and even more details on the site, and I encourage you to scroll through and become an honorary Pier historian yourself. Just remember to use your obscure power wisely. 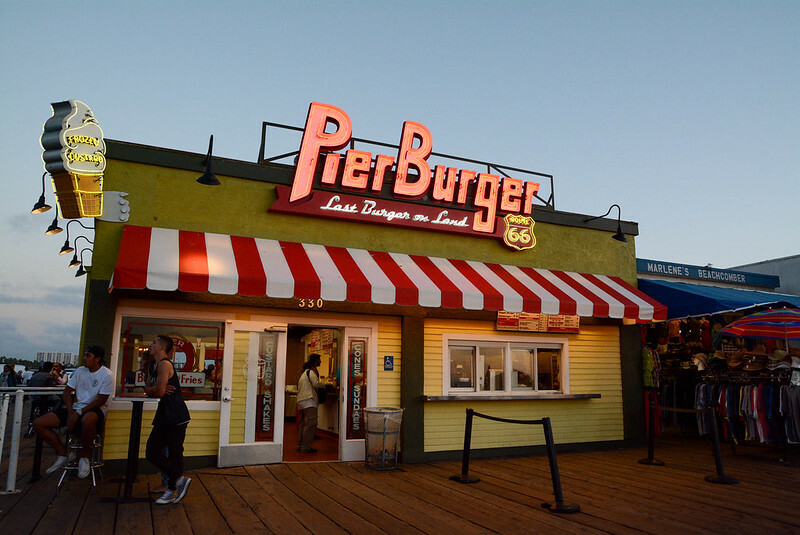 The pier is frequented by tourists and locals alike. I visited on a Sunday evening, and I found there to be a particularly large crowd of hoodlem teenagers. Well, I'm sure not all of them were hoodlems, but there were plenty of rambunctious ones being typically obnoxious (teenagers think that they're really cool and that everything they say and do is really important... I know this because I was a teenager once, and though few and far between, I did have my moments of temporary coolness). One punk teen saw my camera, which at the time was down by my side, and started getting in my face, "Take my picture, take my picture!" Sorry, punk teen. I don't have my external flash on me or I would. I didn't ride anything. Mainly because I only had an hour left on my parking meter. 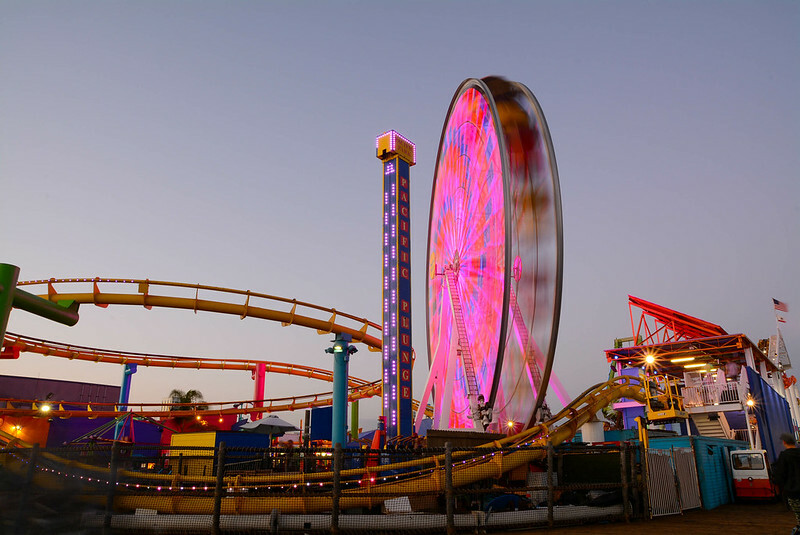 It's $6 per ride on the Pacific Wheel Ferris Wheel, West Coaster, Inkie’s Scrambler, Sea Dragon, Pacific Plunge & Sig Alert EV. 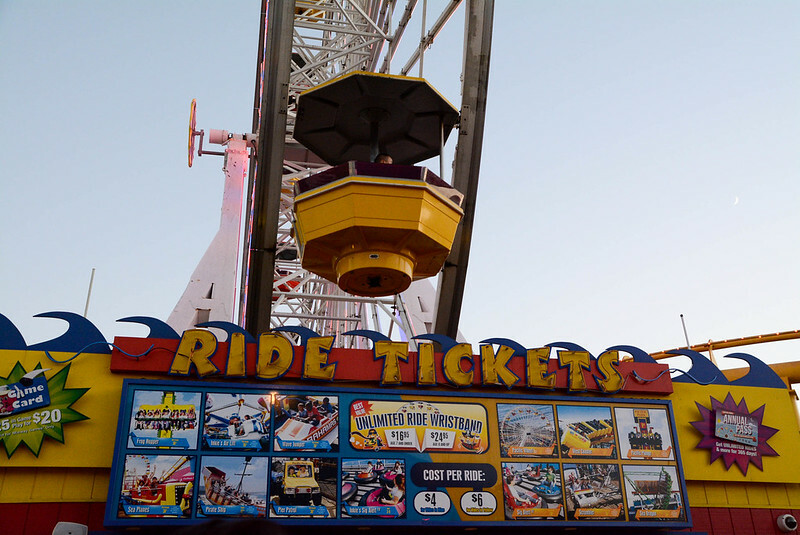 $4 per ride on Inkie’s Wave Jumper, Inkie’s Pirate Ship, Inkie’s Sea Planes, Inkie’s Air Lift, Pier Patrol, Frog Hopper and Sig Alert EV (ages 3-9). 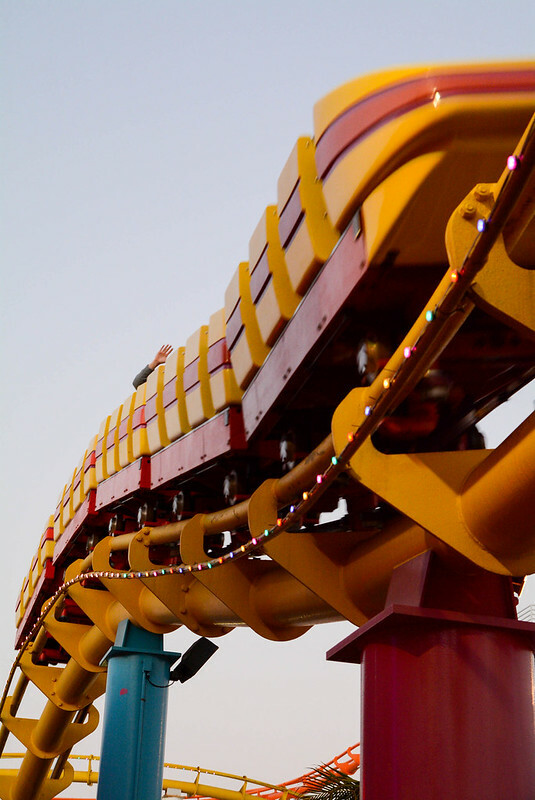 You can also purchase an unlimited ride wristband for $24.95 (8 and up) or $16.95 (7 and under). 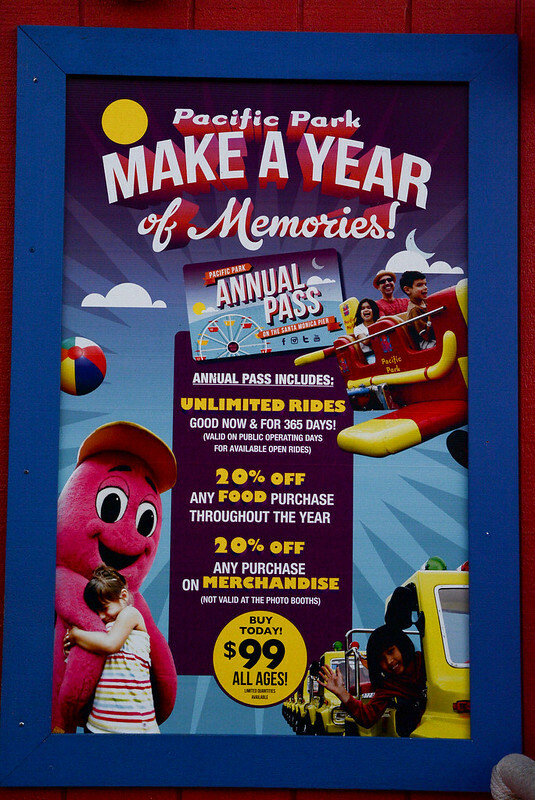 And if for some reason you feel compelled to purchase year-long access, an annual pass is available for $99 and offers 20% discounts on food and merchandise. 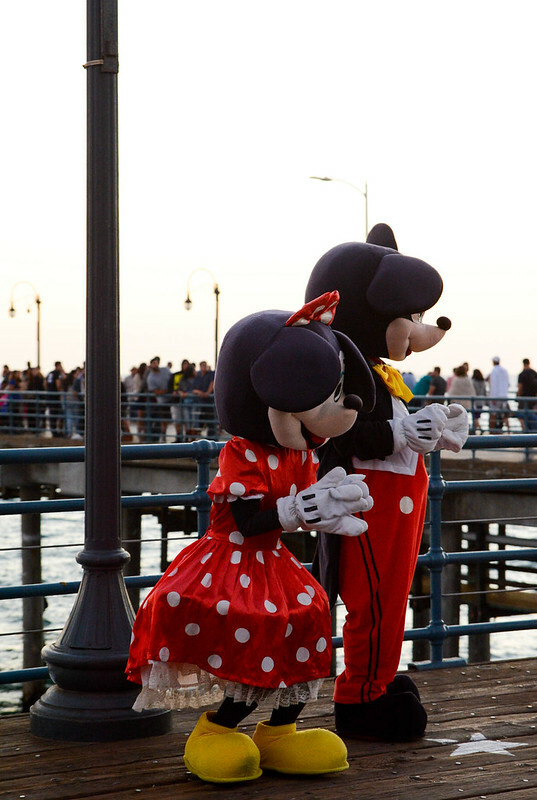 Two of the piers residents happen to be Mickey and Minnie's evil twins. 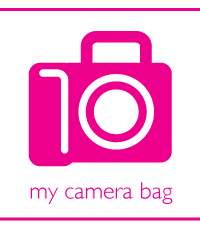 Time for some long exposure fun! 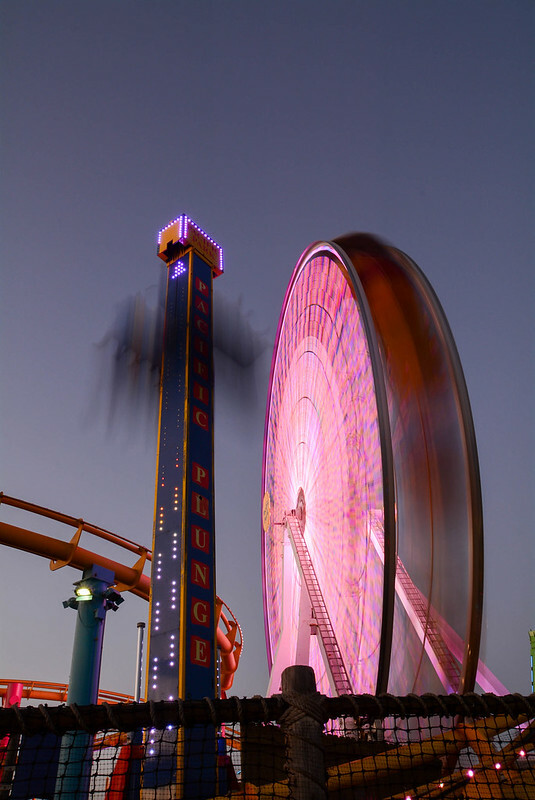 I've always wanted to do a long exposure Ferris wheel shot, and I finally had my chance. All photos were taken with my Nikon D7100 using my Tamron f/2.8 17-50mm lens , Mefoto Backpacker travel tripod , and a wireless remote . 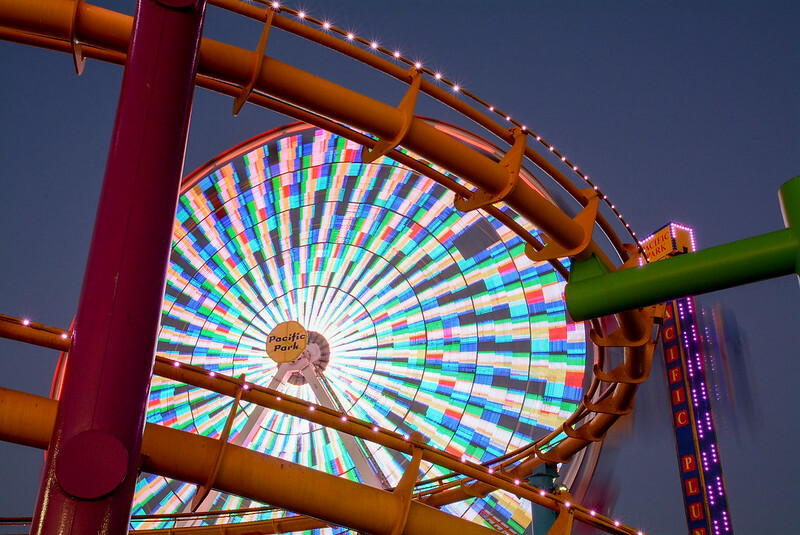 The Santa Monica Pier is located in Santa Monica at the corner of Ocean and Colorado. 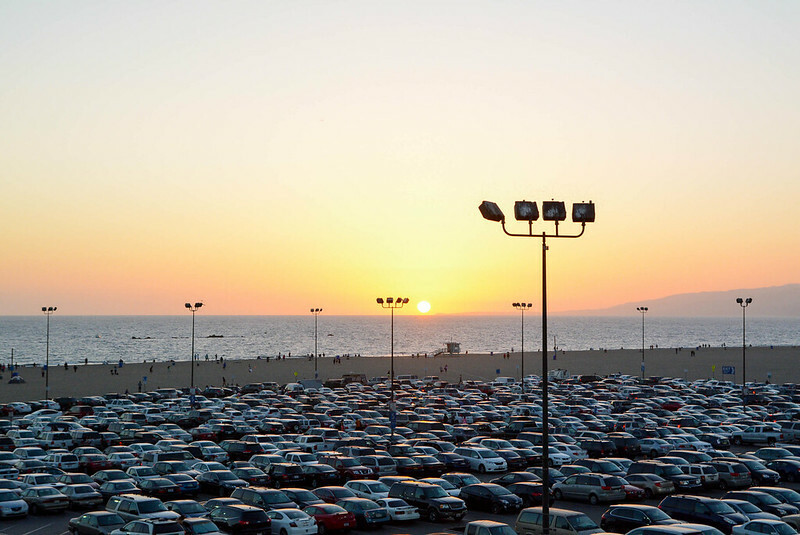 Parking is available at the pier, and there is street parking as well as garages nearby. If you don't want to leave things up to chance, you can always reserve a spot in advance via ParkMe. 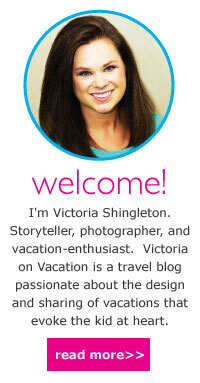 Join me for my October series, 31 Days of Los Angeles for more Southern California fun!